This is a lot better than my previous example from 1934. 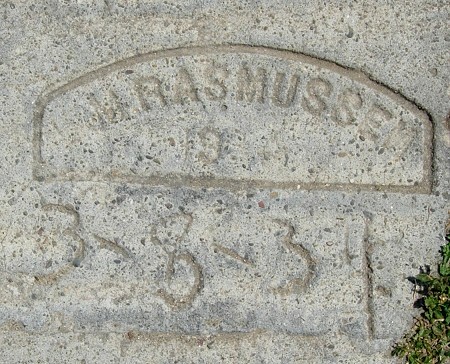 A variant of the Rasmussen mark with a handwritten date. 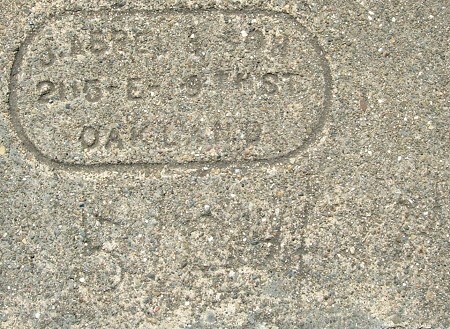 Ransome has a long record in and around Oakland. This is a new configuration for me. Unlike my previous example from 1934, this has a truly clear-cut date. It also gives me a chance to show one of Rasmussen’s typical double marks. 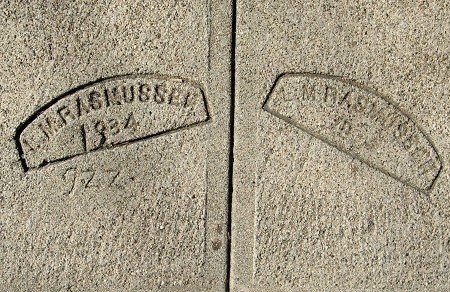 Also note the reversed last letter, which is visible only in very well preserved Rasmussen stamps. 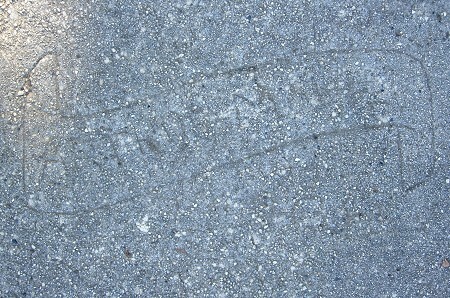 Take my word for it that this mark reads “Arthur Moniz” and is dated 1934 underneath. 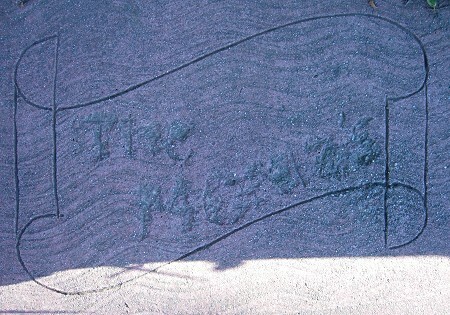 It confirms the first name of A. Moniz. 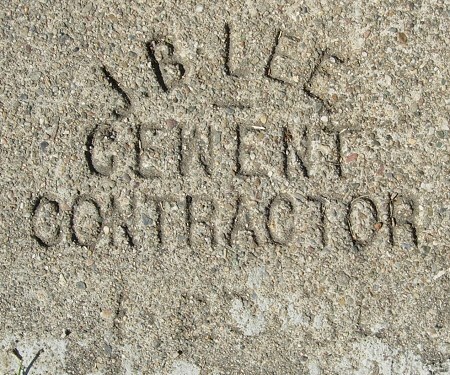 The most precious aspect of this location is that we have this on the sidewalk at the entrance gate to the front walk. This is where Moniz lived with his family. It’s a nice modest home with a big oak tree. I like to think what a pleasant spot this was in the years before the freeway was pushed through.